A good shirt service starts with attention to collars and cuffs, followed by thorough laundering using quality detergents and special wash programs. Then comes the important bit - the ironing. We've recently invested in huge state of the art shirt pressing machines that give incredible results. Unlike some laundries that 'press' your shirt with a puff of steam, our machines press with irons resulting in a crisp professional finish with over 90% of our shirts requiring no further finishing. 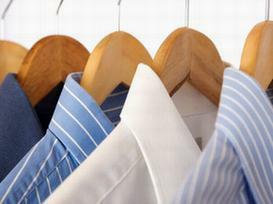 This allows us to pass on to you beautifully laundered shirts at surprisingly refreshing prices. Your shirts are normally returned on hangers, but if you prefer our folding service is an option particularly popular with travelling customers. Light, medium and heavy starch is available by request. The clothes will be ready in 2-3 days. We do our best to ensure that your orders get delivered back on time. 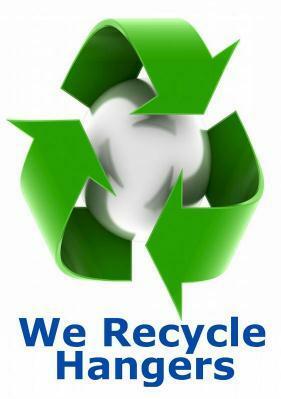 However, we also need to ensure that we properly treat stains and press your clothes. In some cases, all of your items may not be ready by the time our drivers leave on their deliveries. We will return all of the completed items first and any missing pieces will be returned later when they are ready. Items such as sheets, pillowcases, hand washed items and other specialty items often require an extra day of processing. *Our service is available 7 days a week. We are not open only on the public holidays. The clothes will be returned in 2-3 days.